We are excited to announce that Bitglass has been named the sole Visionary in Gartner's CASB Magic Quadrant 2017. We believe we were recognized for our proven rapid deployability, straightforward policy management, innovative data and threat protection functionality, and integrated mobile data protection and identity/SSO capabilities. 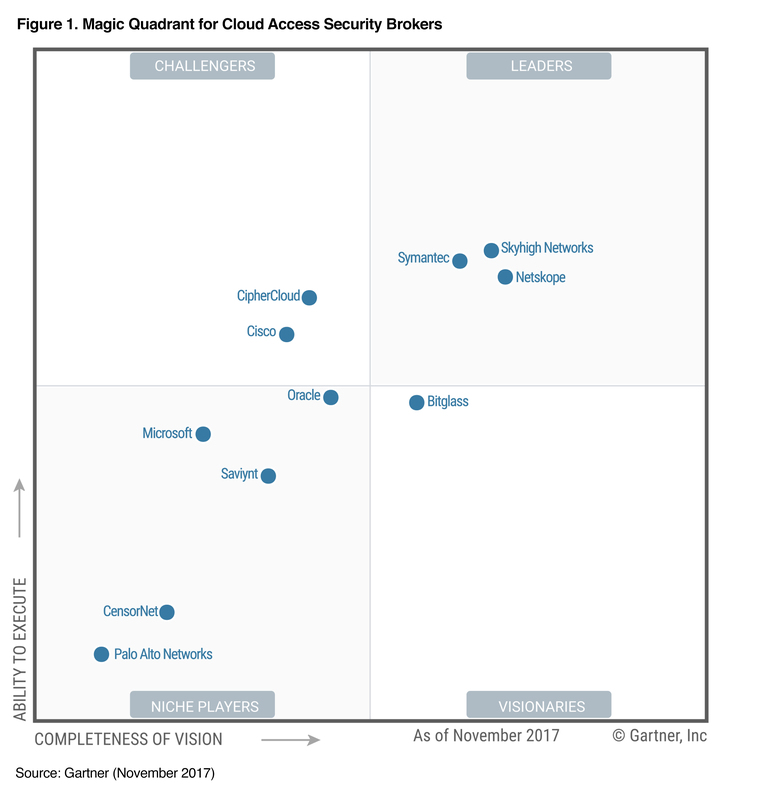 According to Gartner, adoption of cloud security solutions is set to rise such that "by 2018, 40% of Office 365 deployments wll rely on third-party tools to fill in gaps in security and compliance, which is a major increase from fewer than 10% in 2015."